As language teachers, perhaps none of us underestimate the value of collaborative learning: interaction is at the heart of how we teach students speaking, listening, and even writing and reading/comprehension skills. However, conventional scholarship and practice of collaboration in the ELT classroom are usually teacher-designed, teacher-managed, and teacher-dominated group activities. In this post, I would like to highlight the value of creating a collaborative learning environment in the ELT classroom by sharing my personal experience of using student-managed, student-centered group work. The current context in which I use student-managed group projects is that of business communication at the intermediate and advanced college level, but I will focus on ideas and strategies that are adaptable from my current context to that of ELT classrooms at the middle and high school levels. I must admit that there are significant difference between the high-tech, small class, two class periods a week context from which I want to draw some insights and the low-tech, large class, every day of week teaching situations from which I come and to which I am trying to implement some of the insights about collaborative learning. But while teaching in a hi-tech classroom where both students and teacher have access to a lot of hardware and web 2.0 collaborative technologies, I increasingly realize that collaborative learning environment is not a challenge bur rather a solution to the difficulties that I would face if I had access to fewer technologies, my class size was bigger, and my teaching load were to increase. In other words, I am trying to answer this question: “How would I achieve the goals and benefits of collaborative learning environment in low-tech, large class, high teaching load situations?” Let me start with some theoretical insights on the importance of creating/enhancing collaborative learning environment in the classroom; then I will describe the techniques and technology for doing so; finally, I will reflect on how I would try to achieve similar goals in more challenging situations. In Learner-centered teaching, Weimer (2002) points out a fundamental problem with most teachers’ attitude towards students with regard to letting them “drive” the process of their learning: “We might squeeze over closer to the door and let students sit next to us, maybe even hold onto the [steering] wheel, but for all intents and purposes, we are still doing the driving” (p. 38). Frankly speaking, except perhaps when we are discussing the idea of teaching/learning in a more theoretical or a training situation, most of us are not ready to “let students drive” their own learning: we normally think we know what is best for them, we want to deliver the content, we need to control the class, and so on. 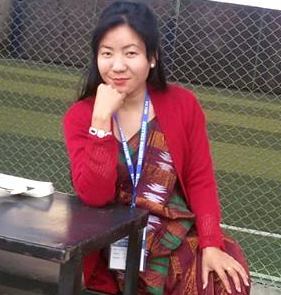 I remember that when I was teaching at a private school in Kathmandu many years ago, the director/owner of the school happened to pass by as I was passionately implementing my ideas about “how to teach speaking skills” on which I had presented a paper at NELTA Conference the previous week! He immediately went to the Principal’s office to tell him that Sharma sir’s class looked and sounded like a circus and instruct that I change my teaching to a more acceptable way if I wanted to continue to have my job in that school! Thanks to the principal who happened to be an English teacher who had also kindly come to my session at the conference, he explained to Mr. Proprietor that I was doing students a great favor by letting them learn language by using it! Had it not for this rare principal who understood something about ELT, I would lose my job that day. Simply, most stakeholders, often including students themselves, want the class to be “under control,” a condition that is hard to achieve when we don’t know how to let collaboration happen. Besides the challenge of keeping especially large classes under control, we are culturally not wired very well to relinquish authority and let students speak, explore, present, etc. But it is not just “eastern,” as opposed to “western,” cultures that have this issue of authority. In their book Electronic collaboration in the humanities, Knowles and Hennequin (2004) state that “Our students arrive in our classrooms trained to devalue collaboration by their previous educational experience; they often resist collaborative work, and when required to do it, they may not know how to proceed”—and this observation is about teaching in the US. In theory, no one argues against creating collaborative learning environment or even letting students plan, manage, and direct the course of their learning based on the ground rules, frameworks, or encouragement provided by the teacher. In Cooperative learning in the classroom, Johnson, Johnson, and Holubec (1994) state that “Cooperative learning results in significantly higher achievement and retention than do competitive and individualist learning. . . . [it] tends to result in more higher-level reasoning, more frequent generation of new ideas and solutions . . . and greater transfer from one situation to another.” It would be hard to find any language teacher who disagrees with this position in theory, or while they are attending a seminar or training; the challenge is when we return to our classrooms and are faced with the challenges like that of managing class, having the resource or energy to prepare well-structured activities, having enough time let collaborative learning happen, and completing the course before the end of the term or year—not to mention the problem of a thin wall between our classroom and the next one where Buddhi Sir wants quiet to teach his chemistry class. We all—even perhaps the director of our schools—know that today’s kids are used to interactive learning from the other modes and means at home and outside class. The rising trend of interactivity due to increased access to the web and social networking have been pointed out as making children of younger generations increasingly attuned to networked social relationship and interactive learning environment, and our society is no exception to that trend. In Millennial rising, Howe and Strauss (2000) pointed out that wherever the new information technologies have reached, young people have adapted to doing “teamwork” through the use of technology outside school, for instance quickly communicating how a group of them want to divvy up and do a task. What Howe and Strauss call the “millennials”—or people born around the turn of the new millennium, spend time communicating with friends and family, and are savvy with ICTs. As they grow up many of them are even involved in “grassroots reconstruction of community, teamwork, and civic spirit.” So, it is natural and necessary for the younger generations of school children to learn in collaborative environments, whether or not the technology is available/accessible in the classroom itself. Let me now briefly describe the use of technology that I have, before moving on to reflect on how I would try to achieve those teaching/learning goals without it. At this time, I teach a course in business communication that meets on Tuesday and Thursday evenings. I have twenty-two upper level bachelor’s degree students who major in a variety of disciplines including business, law and justice administration, engineering, and the social sciences; these are highly motivated students. But here is the challenge: students usually dislike being given work to complete in groups, not just because of the so-called individualistic culture but because nobody wants any factor like the failure of coordination among group members, the slacking by particular members, and interpersonal conflict to hurt their personal grade in the course. So, the survey that I take at the start of the semester—which I take to assess the level of students’ prior knowledge/experience of business communication, technological expertise, and most importantly the attitude/experience about working in group—always shows negative reaction about group work from most students. As the course progresses, I address the specific reasons that students cite for not liking group work. For doing this, I use some of the literature I have cited above about the power and benefits of collaborative learning and work. To provide a practical solution to the concerns, I let students read from a book titled Team writing by Wolfe (2009); this book provides a range of ways to avoid failure in group work, including the ideas of “team charter” and task schedule. A team charter is a document in which a team defines its goals, explicates any limitations on the part of its members, specifies how it will respond to poor work or missed deadlines, etc. A task schedule is a tabular specification of who will do what and when. Additionally, while the readings and discussions on fundamental concepts of business communication continues in class, groups are given a considerable amount of time, specified in advance in the course schedule, for meeting independently (in class) as groups, for which they are required to float meeting agenda and record meeting minutes. Added to this systematic nature of group mechanism are the huge advantages of working in a well-equipped computer lab, using a learning management system that allows them to collaboratively create and share content using a range of tools like wiki, blog/journal, voice and text chat, file-sharing, and the integration of multimedia in their project. Groups develop a business proposal, most often a travel and tourism package, then based on the proposal develop a marketing presentation to be given in class at the end of the term. The solid project management strategies that they learn and practice, the range of technologies that they can use, and the substantive amount of readings and discussion they have about business communication prepares in what I call a three-dimensional way to develop and present the proposal and marketing pitch in highly professional ways. Groups make their own decision about what kind of business project they want to develop and present (though most groups take my example project of business proposal and marketing pitch, and work from there), they decide who will do/contribute what based on the skills and interests of the individual members, they explore and decide which technological tools they want to use for doing what, they resolve challenges of conflict when they arise (based on the ground rules that they have created themselves), and they stay focused on time and task based on the division of work that they did as a group. As a teacher, I progressively reduce my role of intervention, instruction, and even suggestion, so by the end of the term I become an active audience but passive guide for the class. My students surprise me by challenging me on the suggestions that I give them on how they might do this or that. Needless to say, I grade their work, so students ask me how well they are doing from the perspective of my assessment, if their project meets my expectations in this or that way, etc. But unless there is anything significant in terms of meeting the course objectives, I do not tell students what they must do. Indeed, the groups usually know what to do and how to do it better than I do. I literally sit at the back of the class most of the class time in the last quarter of the term; during the presentations at the end of the term, I am simply a part of the audience. Now let us suppose that I take my students out to another classroom which has no technology whatsoever, that the university adds forty students to my class, and finally that I have to teach thirty six hour instead of three or six per week. How well would the “philosophically” cool idea of letting students “drive” the class work? Because in Nepal we as teachers don’t normally design the course (even at the university level we just teach what we are given), let us also suppose that I need to now teach a course over the content of which I have little control. How would I still implement the fundamental concepts of collaborative learning in order to enhance student-centered, student-managed, student-led class activities? First, I would convey the idea to my students that the class is their platform for learning, which they do best by putting ideas into action, at least in the form of discussion and intellectual problem-solving; I would convince them that they need to interact with one another, practice what they learn with one another, and share knowledge and inspire one another. I would give problems to groups rather than to individuals; for instance, I would let groups to summarize a difficult essay in their own language by letting them first discuss the meaning of the essay, then draft parts of the essay, then merge them together, then pass the combined draft around to make sure everyone agrees whether the full draft covers all the key points of the essay, whether the draft is easy to understand, and so on. I would gradually increase the amount of time students spend on group work, while gradually teaching them how to work collaboratively in effective manners; for example, I would start by asking students to discuss a given problem in groups and let one member each report to class what they discussed but as they learn to work as groups I would let them come up with problems that they decide as significant as groups and then discuss solutions, thereby letting them decide how to manage limited class time. Since there is no privilege of information technology, I would assign tasks at the end of the class and give them five or ten minutes to plan and divide wok for the next class meeting; I would let students write down their plans and track their progress if there is anything that runs into multiple class periods. The biggest benefit of collaborative learning is that the burden of one teacher communicating to twenty or forty students is broken down ten or fifteen groups of intelligent people trying to understand something, develop a plan or solution, and make decisions that best interests those small groups. Students feel a better sense of ownership and authority towards their work and ideas when they worked independently of the dominating figure of the teacher. Groups often compete with other groups. Students develop their confidence when they can teach one another. They learn how to negotiate and how to resolve conflicts—if you make sure to tell them when to ask for intervention. At any given time, there will be more students listening actively, thinking critically, and putting knowledge into practice compare to the number of students that would be listening to you if you were lecturing and leading class activities alone. Students learn the important skills of building and sustaining an intellectual and social community. When students are absent, they talk to their peers and make up for what they missed. If a member of a group is lagging behind, other members help him or her out. Students multiply the amount, effectiveness, and fun of learning when they lead their learning process, to the extent that you can let them do so. Weimer, Maryellen. Learner-Centered Teaching. San Francisco: Jossey-Bass, 2002. Howe, N., & Strauss, W. (2000). Millennials rising: The next great generation. New York: Vintage Books. Knowles, N., & Hennequin, W. (2004). New technology, newer teachers: Computer resources and collaboration in literature and composition. In J. A. Inman, C. Reed, & P. Sands (Eds. ), Electronic collaboration in the humanities: Issues and options (pp. 91-110). Mahwah, NJ: L. Erlbaum Associates. Smith, K. A. (1996). Cooperative learning: Making “groupwork” work. New Directions for Teaching and Learning, 67, 71-82. Williams, D. R. (1995). Cooperative learning and conflict resolution: Perspectives of urban middle school adolescents. Research in Middle Level Education Quarterly, 18 (2), 23-47. Goodsell, A. S. M. R. Maher, V. Tinto, B. L. Smith, & J. MacGregor (Eds. ), Collaborative learning: A sourcebook for higher education (pp. 68-74). Johnson, D. W., Johnson, R. T., & Holubec, E. J. (1994). Cooperative learning in the classroom. Alexandria, VA: Association for Supervision and Curriculum Development. Lizzio, A., & Wilson, K. (2005). Self-managed learning groups in higher education: Students’ perceptions of process and outcomes. British Journal of Educational Psychology, 75(3), 373-390. Pritchard, J. S., Stratford, R. J., & Bizo, L. A. (2006). Team-skills training enhances collaborative learning. Learning & Instruction, 16(3), 256-265. Rheingold, H. (1994). The virtual community: Homesteading on the electronic frontier. New York: HarperPerennial. Flowerdew, L. (January 01, 1998). A Cultural Perspective on Group Work. Elt Journal, 52, 4, 323-29. * Shyam Sharma, one of the editors of the Choutari blog-zine, is life member of NELTA and currently a doctoral fellow and candidate in writing studies at the University of Louisville, Kentucky, USA. The idea is for every student to participate in the talk equally. By enhancing collaborative learnig we are helping the learners learn. It is interesting and challenging for both the teacher and student.